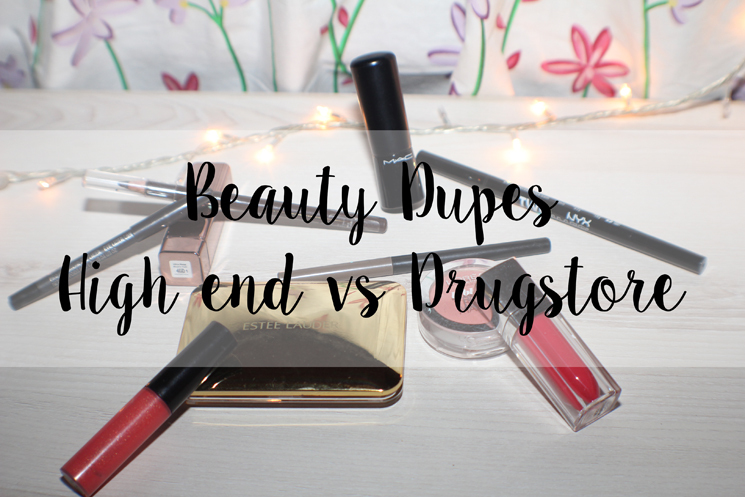 Today, I am going to do beauty dupes high end vs drugstore products that I could find in my makeup collection. I don’t have much in my collection but I managed to find 4 dupes of high end products that I have. Before I start, remember that product on the left is high end and on the right is drugstore/cheaper alternatives. 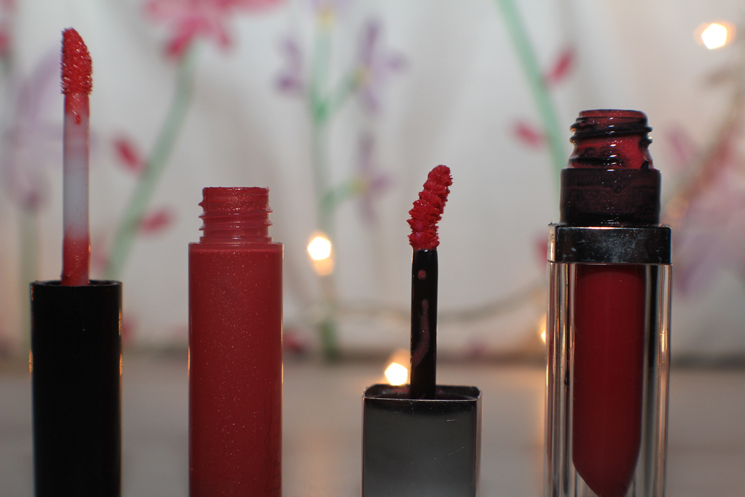 I featured the MAC lipstick in my makeup essentials post that I did last week. I have been an avid user of Glamour Era for months before I stumbled upon (obviously I didn’t notice) Muara Hati in my lipstick collection. 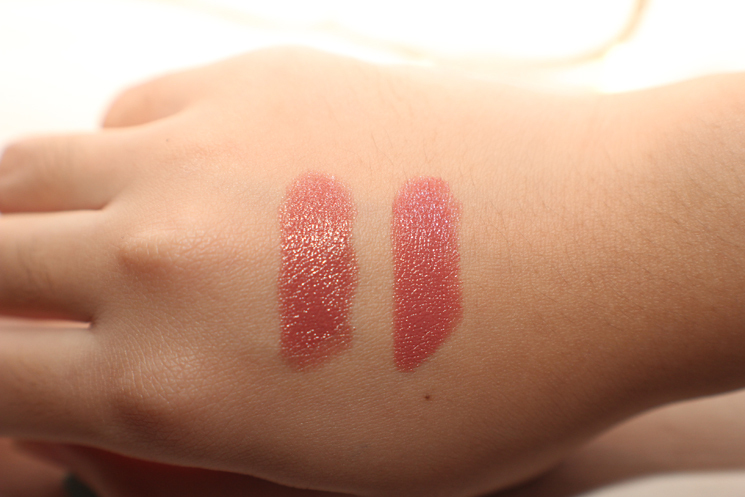 Boyyyyyyy I was left in awe when both of the lipsticks looked so similar! The picture doesn’t do its justice. They are very very similar and since then, I have ditched Glamour Era and turned to Muara Hati that is much cheaper so I won’t feel like my life is about to end when I ran out of it. 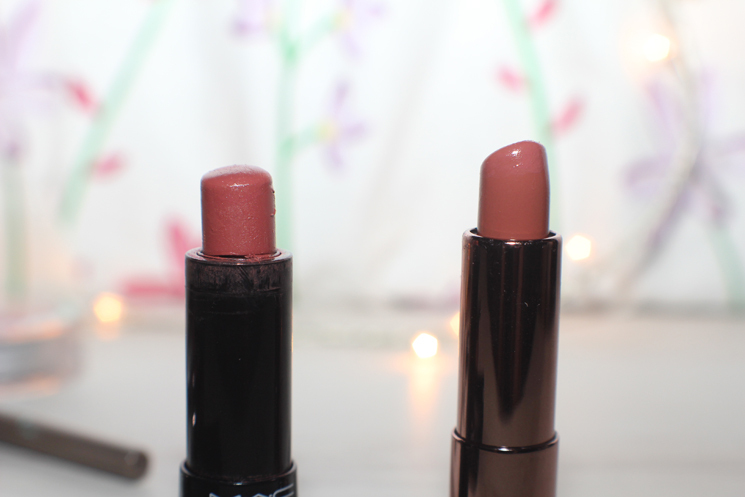 Both lipsticks are very moisturizing. Due to the flash photography, it looks like they’re both different but in natural light, they’re not. 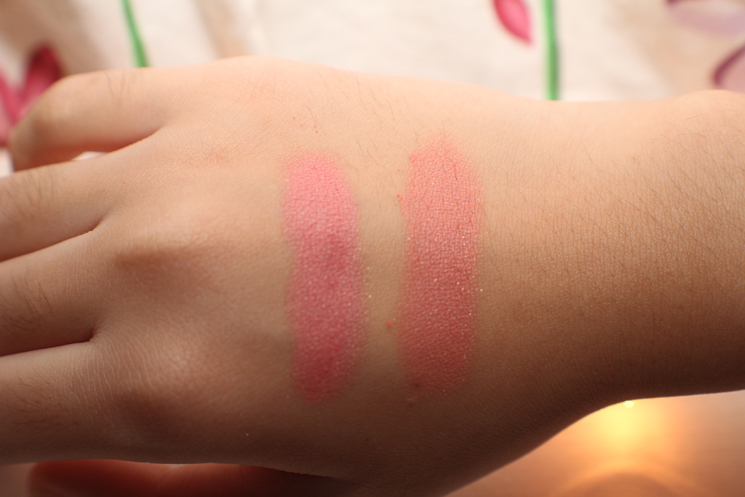 However, Pink Kiss is definitely pinker and True Rose has a hint of orange hue. But they both look the same when put on. 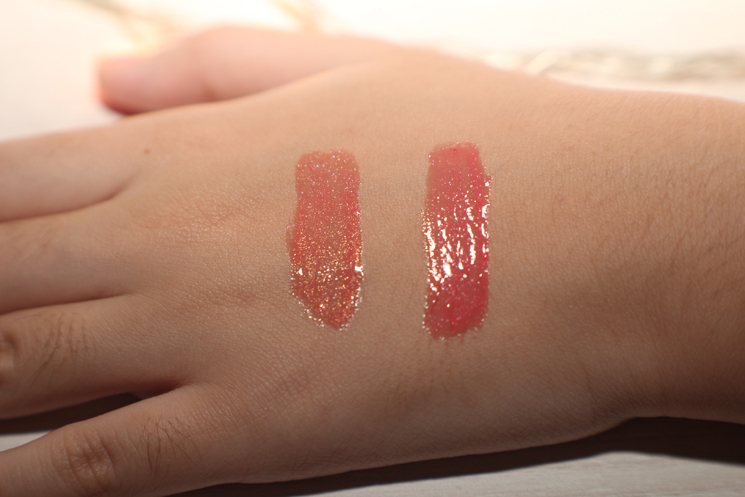 Pink Kiss has a very soft satin finishing and True Rose is grainier, if I could say the least. Both blushers are very long-lasting and give you that rosy glow to your cheeks, provided you tak pakai setepek kat muka tebal tebal lah. I never have to touch up my blush in the middle of the day. 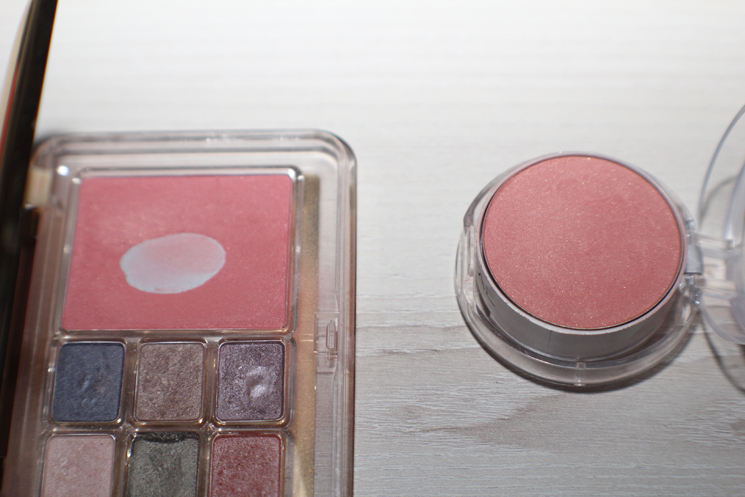 Color-wise, Lychee Luxe is more to the orange side and Glam 2 is pinker. Lychee Luxe is also a tad bit thicker and has more sparkles (or shimmers lol at my vocabulary) but their staying power is the same. They both look great alone! I rarely ever used them on top of lipsticks for that natural, effortless look. 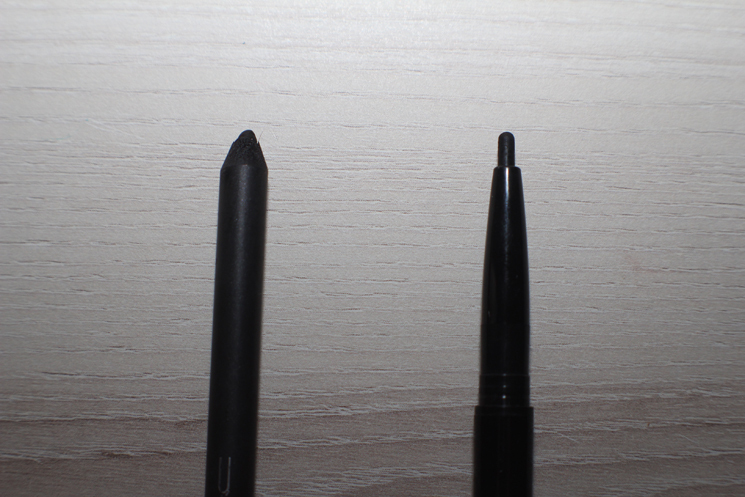 Both of them are not the blackest eyeliners in the market. Black Ice you have to sharpen to get sharp point and Nyx is retractable which doesn’t give you sharp point at all and they both crease on oily lids especially the Nyx liner. 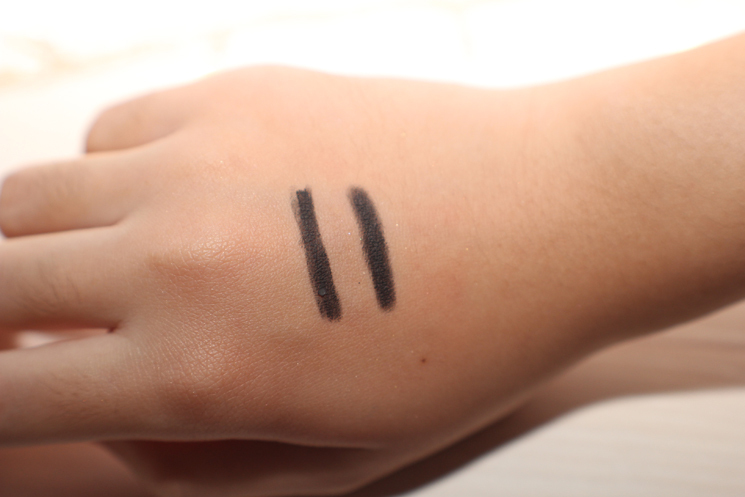 But if you can work with creasing and not-so-black black, then both of these are for you although you can find some other inexpensive eyeliners from the drugstore. I’m not saying both of these are bad. I have done full-face makeup with Black Ice and it worked well but I have oily lids. Everything creases.